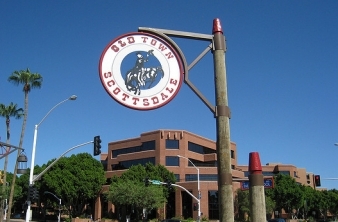 Want the down low on some fun facts about Scottsdale? Here you go! One of the 100 largest cities in the nation and the sixth largest city in Arizona, Scottsdale has a population of approximately 228,300. The city was briefly named Orangedale before being renamed “Scotts-Dale” in 1894 in honor of founder Winfield Scott. It was officially incorporated as Scottsdale in 1951. The city's official nickname is The West's Most Western Town. There are more than 200 golf courses in Scottsdale and the surrounding area. When complete, Scottsdale's McDowell Sonoran Preserve will be the largest urban preserve in the nation. It currently encompasses 30,200 acres and offers approximately 200 miles of shared-use trails for hiking, biking and horseback riding. Scottsdale stretches 31 miles from north to south and encompasses 184 square miles. Scottsdale's elevation ranges from 1,150 to 4,877 feet above sea level. Scottsdale has seven sister cities located in Alamos, New Mexico; Cairns, Queensland, Australia; Haikou, China; Interlaken, Switzerland; Marrakech, Morocco; Kingston, Ontario, Canada; and Uasin Gishu, Kenya. Among its many honors, Scottsdale was named the 4th best mid-size city for millennials by the travel research website Gogobot (2016); ranked in the Top 10 Cities That Care (2016) and the No. 1 City for an Active Lifestyle by WalletHub.com (2016); named the No. 2 Foodie City in the U.S. by Livability.com (2014); and named the Most Livable City in the United States by the U.S. Conference of Mayors (1993). The saguaro cacti that fill the Sonoran Desert in and around Scottsdale can live as long as 150-200 years and can weigh over 3,000 pounds when fully hydrated. In just over four hours, you can be at the beach! Rocky Point, Mexico, is only about 220 miles southwest Scottsdale. Want more Scottsdale? Check out 7 Things You (Probably) Didn't Know, from the Arizona Republic.